People living in neighborhoods around Reagan National Airport say a staging lot for Uber and Lyft drivers is snarling traffic in the area, and Arlington officials are taking new steps to work out some sort of fix. The county is convening a public meeting on the issue Thursday (Sept. 27) after hearing persistent complaints about the lot (located at 2780 Jefferson Davis Highway and adjacent to S. Eads Street and a Holiday Inn hotel) over the last few months. 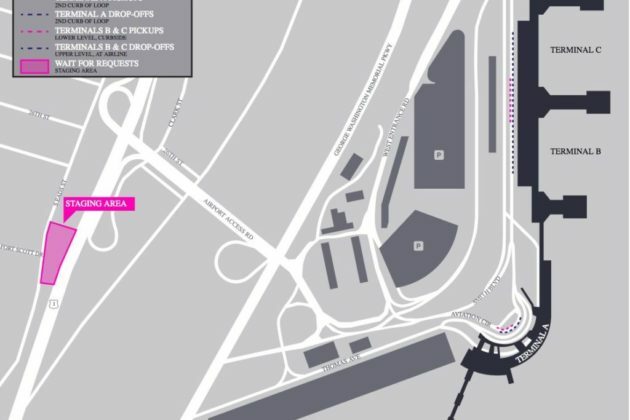 The Metropolitan Washington Airports Authority (MWAA) started routing rideshare drivers to the lot in April, in order to account for construction as part of the airport’s massive improvement project known as “Project Journey,” and required drivers to wait there until would-be passengers request rides at the airport. 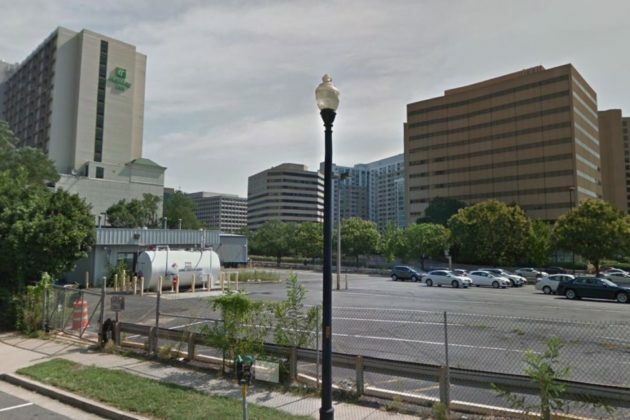 Since then, neighbors have grown particularly concerned with the congestion the change has caused on S. Eads Street, with the Arlington Ridge, Aurora Highlands and Crystal City civic associations all mentioning it in recent community newsletters. The civic associations noted in their missives that they’re pressing the county to reopen the lot’s access to Route 1, in a bid to ease traffic on S. Eads Street. But VDOT has jurisdiction over Route 1, meaning state officials would have to approve any change to the traffic pattern in the area. To that end, the county says it’s invited officials from both MWAA and VDOT to Thursday’s meeting. That gathering is set to be held at the Aurora Hills Community Center (735 18th Street S.) from 7-8:30 p.m.